The trailer of the much awaited Alt Balaji show Puncch Beat is out now. It appears to be youth-centric show and the story revolves around love and friendship. The trailer seems to pack in a lot of energy and it appears that the storyline will reveal how two high school friends turn against each other to win over a girl. The actors of the show are Harshita Gaur, Siddharth Sharma, Priyank Sharma and Khushi Joshi. 1. 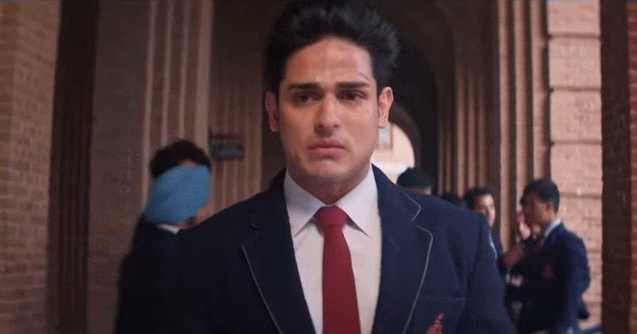 From the trailer it appears that Priyank Sharma has a really meaty role in which he is the misfit in the school, which is a world of its own. 2. Apart from a boxing and dance competition, it appears that some social issues such as ragging too would be touched upon in this series. Right from the time the first look and the character sketch of the actors were revealed, people started to compare this show with Karan Johar’s movie Student of The Year and even with the trailer that continues to be the case. Overall, we found this to be an interesting trailer and a series that will pack a range of emotions. We just felt that it would have been better if there was a little less kissing and a little more drama in the trailer. Puncch Beat will be available on 14 February on Alt Balaji app. We are looking forward to the series and sharing its review with you. What do you think of the trailer of Puncch Beat trailer, let us know in the comments below. A school with no studies!!!! Seeing Rushad Rana made me more sad as he started off with a school story which was at least closer to reality!!! !